Meet Namapon! Namapon hails from Aomori prefecture in northern Japan and promotes sea cucumber. If you’re not familiar with the humble sea cucumber, well, what can we say? 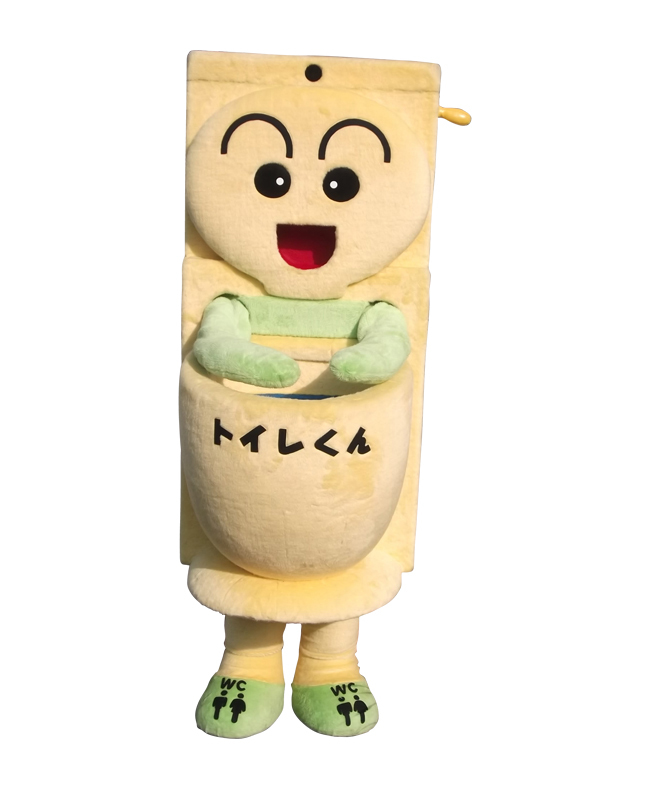 Namapon’s name is actually a little pun, sea cucumbers are called namako in Japanese with the characters for sea mouse! But real sea cucumbers don’t look much like mice, so Namapon’s name is a little more accurate; ‘nama’ can also mean fresh or raw and ‘pon’ is the counter for long cylindrical things. While Namapon is definitely much cuter than a real sea cucumber, we’re not sure that cuteness is the most convincing factor when deciding on dinner. Yuru-Kyara Grand Prix: Vote for Namapon! Our next competitors are the Wanko Kyodai! From Iwate in northern Japan, wanko soba is a speciality of the area. These little brothers, kyodai, represent all the little bowls of soba buckwheat noodles that are served with loads of different kinds of condiments and a tasty noodle dipping sauce. 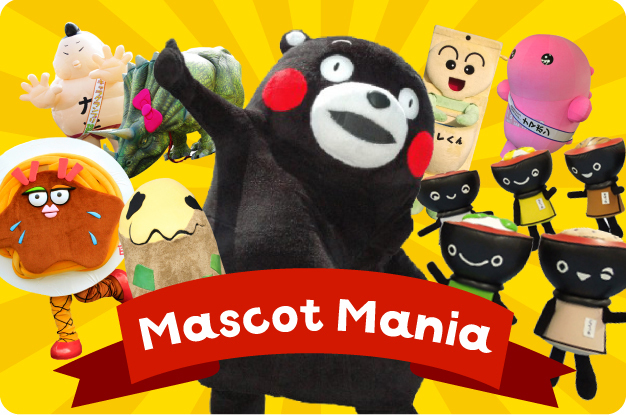 Possibly the original all you can eat dish, these mascots get bonus points for tasty literalness and cuteness! P.S. before we get letters about this I should point out that wanko does not mean whatever you think it does (yes, including, and we’re being generous here, wanko puppies!) Wanko in fact referrers to the little bowls the soba is served in. In Iwate ‘ko’ is added to the ends of familiar words like umakko for horse or o-furokko for bath tub, so o-wan a wooden bowl in Japanese becomes wanko! And thus the wanko kyodai are born. Yuru-Kyara Grand Prix: Vote for the Wanko Kyodai! From Aizu in Fukushima, Kare Naru Yakisoba Ko! Her name means yakisoba that becomes curry child, although being a bit more generous I guess we can call her Curry Yakisoba Gal! 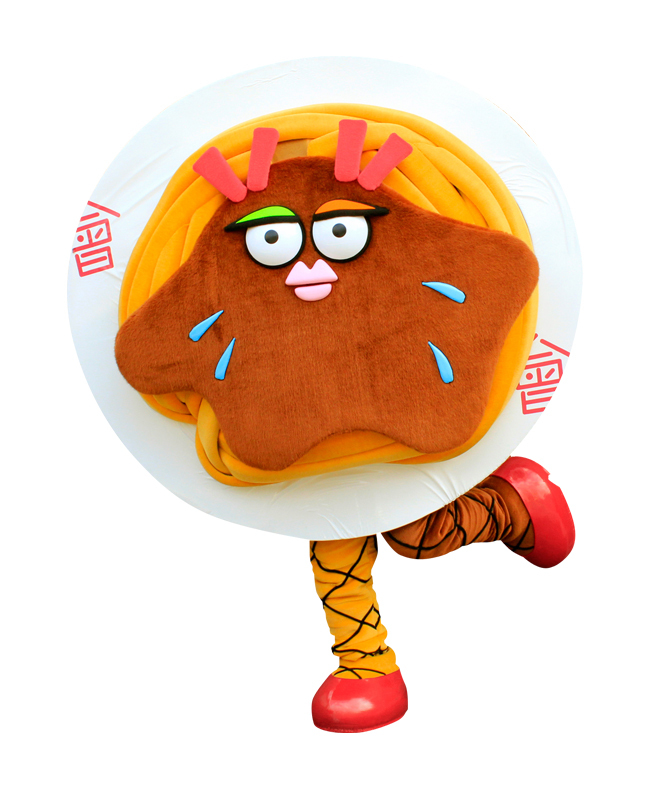 Kare Naru Yakisoba Ko’s charm points are apparently that her garlic and cabbage eye shadow doesn’t match her benishoga ginger ribbon and that even though she’s a B-rank gourmet item, she tries hard! We’re not sure that’s really appealing for a food item, but curry yakisoba does sound great and we’d never heard of it before, so points to Aizu! Yuru-Kyara Grand Prix: Vote for the Kare Naru Yakisoba Ko! 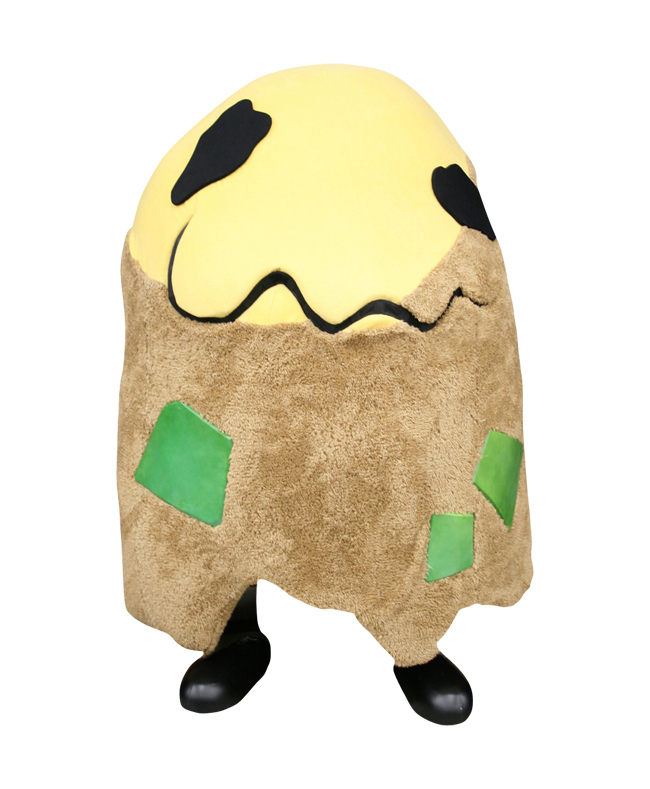 While yuru-kyara represent a serious idea, we’d be remiss if we didn’t point out some of the more unusual characters and classic gaffes yuru-kyara are responsible for. 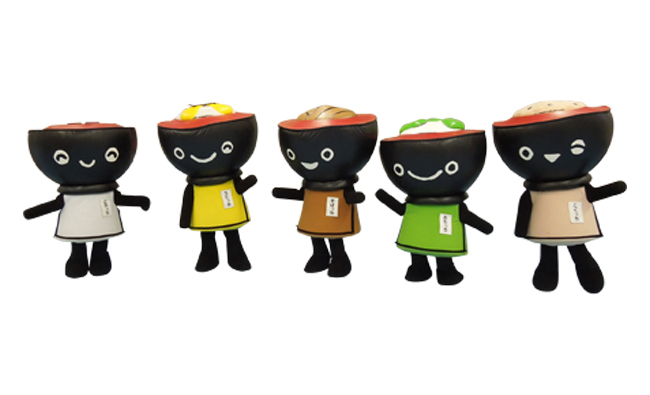 This rogues’ gallery is left to right: Mojaro the Iseki monja matsuri mascot from Gunma. Monja is similar to okonomiyaki, but way more runny. Originally monja was sold at stores as a kind of edutainment snack, where kids could practice writing hiragana characters in the batter! In the middle we have Toirei-kun from Yokohama in Kanagawa representing the Northern Resource Recycling Bureau and created for Toilet Day. Last, but not least, Pier Nishiki and Hana-chan. 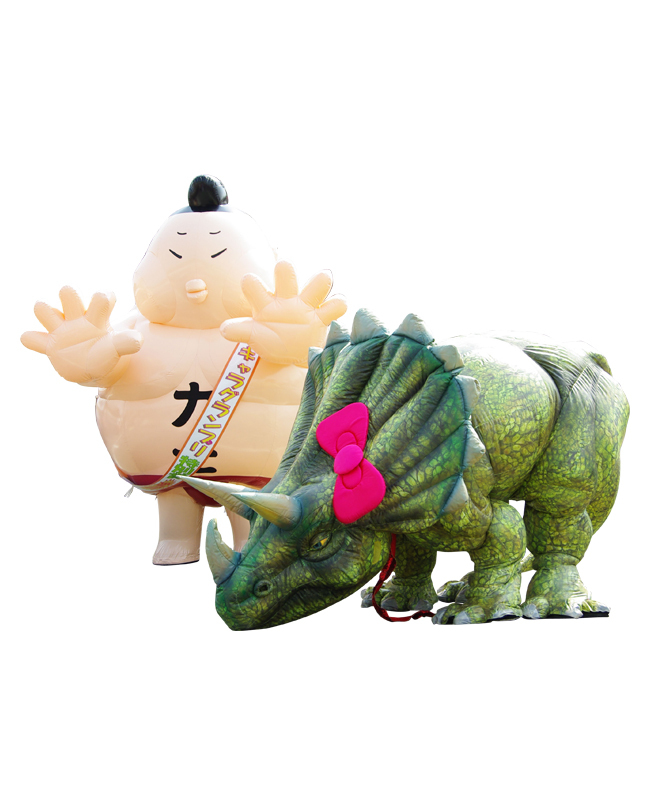 Pier, along with his friend the triceratops Hana-chan are the mascots for Pier 21, a mascot and balloon rental company. 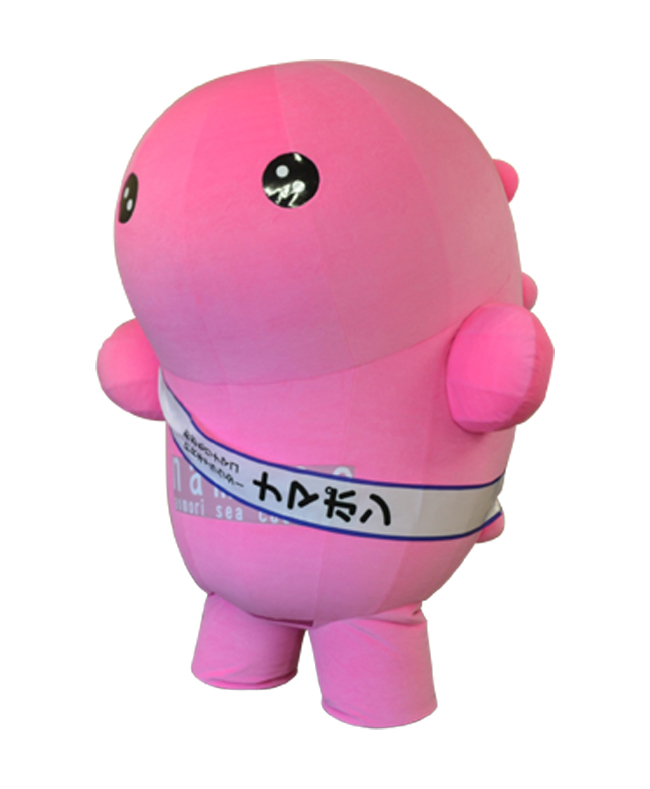 Yuru-kyara are also responsible for some of the best television we’ve ever seen such as Kumamon in an onsen hot-spring (really) or his appearance on the well-respected TV show News In Depth. Mr Blobby move over! If our tour through yuru-kyara has inspired you to try out some regional food, Japan Centre has everything you need to make wanko soba, including authentic soba buckwheat noodles, curry yakisoba or even monja! Although we’re sure yours will be a little more photogenic and less pacman ghost.